1111 Constitution Ave., NW; Washington, D.C. 20224, U.S. Though the IRS brings in most of the revenue needed to fund the federal government, its resources have been cut year after year. In 2016 the American College of Tax Counsel wrote to the Congressional leadership stating, "We have watched the agency struggle with significant decreases in funding that have caused staffing and morale issues. In our practices, we have seen the negative impact this has had on our clients, the taxpayers." In the 2017 fiscal year, the IRS processed more than 245 million returns and collected more than $3.4 trillion in gross revenue, spending 34¢ for every $100 it collected. On June 28, 2018, Bloomberg News wrote, "The agency has been reeling from budget cuts. The current budget of $11.43 billion is less than in fiscal 2008, and the IRS pared about 15 percent of its workforce over the past five years. The enforcement staff has plunged by more than 25 percent since 2010." In the 2018 fiscal year, the U.S. federal government spent $779 billion more than it brought in. It's estimated that in fiscal year 2019 the loss will be close to $1 trillion. In fiscal year 2019 the IRS plans to cut an additional 2,200 employees. In July 1862, during the American Civil War, President Abraham Lincoln and Congress passed the Revenue Act of 1862, creating the office of Commissioner of Internal Revenue and enacting a temporary income tax to pay war expenses. Income taxes evolved, but in 1894 the Supreme Court declared the Income Tax of 1894 unconstitutional in Pollock v. Farmers' Loan & Trust Co., a decision that contradicted Hylton v. United States. The federal government scrambled to raise money. Though the constitutional amendment to allow the Federal government to collect income taxes was proposed by President Taft in 1909, the 16th Amendment was not ratified until 1913, just before the start of the First World War. In 1913 the first edition of the 1040 form was introduced. A copy of the very first IRS 1040 form, can be found at the IRS website showing that only those with incomes of $3,000 (adjusted for inflation, the equivalent of $74,986 in 2017) or more were instructed to file. In the first year after ratification of the 16th Amendment, no taxes were collected. Instead, taxpayers simply completed the form and the IRS checked the form for accuracy. The IRS's workload jumped by ten-fold, triggering a massive restructuring. Professional tax collectors began to replace a system of "patronage" appointments. The IRS doubled its staff, but was still processing 1917 returns in 1919. Income tax raised much of the money required to finance the war effort; in 1918 a new Revenue Act established a top tax rate of 77%. In 1919 the IRS was tasked with enforcement of laws relating to prohibition of alcohol sales and manufacture; this was transferred to the jurisdiction of the Department of Justice in 1930. After repeal in 1933, the IRS resumed collection of taxes on beverage alcohol. The alcohol, tobacco and firearms activities of the bureau were segregated into the Bureau of Alcohol, Tobacco, Firearms and Explosives in 1972. A new tax act was passed in 1942 as the United States entered the Second World War. This act included a special wartime surcharge. The number of American citizens who paid income tax increased from about 4 million in 1939 to over 42 million by 1945. In 1952, after a series of politically damaging incidents of tax evasion and bribery among its own employees, the Bureau of Internal Revenue was reorganized under a plan put forward by President Truman, with the approval of Congress. The reorganization decentralized many functions to new district offices which replaced the collector's offices. Civil service directors were appointed to replace the politically appointed collectors of the Bureau of Internal Revenue. Not long after, the Bureau was renamed the Internal Revenue Service. In 1954 the filing deadline was moved from March 15 to April 15. The Tax Reform Act of 1969 created the Alternative Minimum Tax. By 1986, limited electronic filing of tax returns was possible. The Internal Revenue Service Restructuring and Reform Act of 1998 ("RRA 98") changed the organization from geographically oriented to an organization based on four operating divisions. It added "10 deadly sins" that require immediate termination of IRS employees found to have committed certain misconduct. Enforcement activities declined. The IRS Oversight Board noted that the decline in enforcement activities has "rais[ed] questions about tax compliance and fairness to the vast majority of citizens who pay all their taxes." In June 2012, the IRS Oversight Board recommended to Treasury a fiscal year 2014 budget of $13.074 billion for the Internal Revenue Service. On December 20, 2017, Congress passed the Tax Cuts and Jobs Act of 2017. It was signed into law by President Trump on December 22, 2017. In the 2017 fiscal year, the IRS had 76,832 employees conducting its work, a decrease of 14.9 percent from 2012. John Requard, Jr., accused of leaking the Nixon tax returns, collected delinquent taxes in the slums of Washington. In his words: "We went after people for nickels and dimes, many of them poor and in many cases illiterate people who didn't know how to deal with a government agency." Requard admitted that he saw the returns, but denied that he leaked them. According to an inspector general's report, released in November 2013, identity theft in the United States is blamed for US$4 billion worth of fraudulent 2012 tax refunds by the IRS. Fraudulent claims were made with the use of stolen taxpayer identification and Social Security numbers, with returns sent to addresses both in the US and internationally. Following the release of the findings, the IRS stated that it resolved most of the identity theft cases of 2013 within 120 days, while the average time to resolve cases from the 2011/2012 tax period was 312 days. In September 2014, IRS Commissioner John Koskinen expressed concern over the organization's ability to handle Obamacare and administer premium tax credits that help people pay for health plans from the health law's insurance exchanges. It will also enforce the law's individual mandate, which requires most Americans to hold health insurance. In January 2015, Fox News obtained an email which predicted a messy tax season on several fronts. The email was sent by IRS Commissioner Koskinen to workers. Koskinen predicted the IRS would shut down operations for two days later this year which would result in unpaid furloughs for employees and service cuts for taxpayers. Koskinen also said delays to IT investments of more than $200 million may delay new taxpayer protections against identity theft. Also in January 2015, the editorial board of The New York Times called the IRS budget cuts penny-wise-and-pound-foolish, where for every dollar of cuts in the budget, $6 were lost in tax revenue. Because of that Act, the IRS now functions under four major operating divisions: Large Business and International (LB&I), Small Business/Self-Employed (SB/SE), Wage and Investment (W&I), and Tax Exempt & Government Entities (TE/GE). Effective October 1, 2010, the name of the Large and Mid-Size Business division was changed to the Large Business & International (LB&I) division. The IRS also includes a criminal law enforcement division: the IRS Criminal Investigation Division. While there is some evidence that customer service has improved, lost tax revenues in 2001 were over $323 billion. The IRS is headquartered in Washington, D.C., and does most of its computer programming in Maryland. It currently operates five submission processing centers which process returns sent by mail and returns filed electronically via E-file. Different types of returns are processed at the various centers with some centers processing individual returns and others processing business returns. Originally, there were ten submission processing centers across the country. In the early 2000s, the IRS closed five centers: Andover, MA; Holtsville, NY; Philadelphia, PA; Atlanta, GA; and Memphis, TN. This currently leaves five centers processing returns: Austin, TX; Covington, KY; Fresno, CA; Kansas City, MO; and Ogden, UT. In October 2016 the IRS announced that three more centers will close over a six-year period: Covington, KY in 2019; Fresno, CA in 2021; and Austin, TX in 2024. This will leave Kansas City, MO and Ogden, UT as the final two submission processing centers after 2024. The IRS also operates three computer centers around the country (in Detroit, Michigan; Martinsburg, West Virginia; and Memphis, Tennessee). The current IRS commissioner is Charles P. Rettig of California. There have been 48 previous commissioners of Internal Revenue and 28 acting commissioners since the agency's creation in 1862. From May 22, 2013 to December 23, 2013, senior official at the Office of Management and Budget Daniel Werfel was acting Commissioner of Internal Revenue. Werfel, who attended law school at the University of North Carolina and attained a master's degree from Duke University, prepared the government for a potential shutdown in 2011 by determining which services that would remain in existence. The Office of the Taxpayer Advocate, also called the Taxpayer Advocate Service, is an independent office within the IRS responsible for assisting taxpayers in resolving their problems with the IRS and identifying systemic problems that exist within the IRS. The current United States Taxpayer Advocate, also known as the National Taxpayer Advocate, is Nina E. Olson. The Office of Appeals is an independent organization within the IRS that helps taxpayers resolve their tax disputes through an informal, administrative process. Its mission is to resolve tax controversies fairly and impartially, without litigation. Resolution of a case in Appeals "could take anywhere from 90 days to a year." The current chief is Donna C. Hansberry. OPR investigates suspected misconduct by attorneys, CPAs and enrolled agents ("tax practitioners") involving practice before the IRS and has the power to impose various penalties. OPR can also take action against tax practitioners for conviction of a crime or failure to file their own tax returns. According to former OPR director Karen Hawkins, "The focus has been on roadkill - the easy cases of tax practitioners who are non-filers." The current acting director is Beverly O. Babers. Volunteer Income Tax Assistance (VITA) and Tax Counseling for the Elderly (TCE) are volunteer programs that the IRS runs to train volunteers and provide tax assistance and counseling to taxpayers. Volunteers can study e-course material, take tests, and practice using tax-preparation software. Link & Learn Taxes (searchable by keyword on the IRS website), is the free e-learning portion of VITA/TCE program for training volunteers. As of 2007, the agency estimates that the United States Treasury is owed $354 billion more than the amount the IRS collects. This is known as the tax gap. The gross tax gap is the amount of true tax liability that is not paid voluntarily and timely. For years 2008-2010, the estimated gross tax gap was $458 billion. The net tax gap is the gross tax gap less tax that will be subsequently collected, either paid voluntarily or as the result of IRS administrative and enforcement activities; it is the portion of the gross tax gap that will not be paid. It is estimated that $52 billion of the gross tax gap was eventually collected resulting in a net tax gap of $406 billion. The IRS oversaw the Homebuyer Credit and First Time Homebuyer Credit programs instituted by the federal government from 2008-2010. Those programs provided United States citizens with money toward the purchase of homes, regardless of income tax filings. Most non-supervisory employees at the IRS are represented by a labor union. The exclusive labor union at the IRS is the National Treasury Employees Union (NTEU). Employees aren't required to join the union or pay dues. The IRS and NTEU have a national collective bargaining agreement. United States Office of Special Counsel (OSC). Employees are also required to report certain misconduct to TIGTA. Federal law prohibits reprisal or retaliation against an employee who reports wrongdoing. The IRS has been accused of abusive behavior on multiple occasions. Testimony was given before a Senate subcommittee that focused on cases of overly aggressive IRS collection tactics in considering a need for legislation to give taxpayers greater protection in disputes with the agency. In 2002, the IRS accused James and Pamela Moran, as well as several others, of conspiracy, filing false tax returns and mail fraud as part of the Anderson Ark investment scheme. The Morans were eventually acquitted, and their attorney stated that the government should have realized that the couple was merely duped by those running the scheme. In 2004, the law licenses of two former IRS lawyers were suspended after a federal court ruled that they defrauded the courts so the IRS could win a sum in tax shelter cases. On September 5, 2014, 16 months after the scandal first erupted, a Senate Subcommittee released a report that confirmed that Internal Revenue Service used inappropriate criteria to target Tea Party groups, but found no evidence of political bias. The chairman of the Senate Permanent Subcommittee on Investigations confirmed that while the actions were "inappropriate, intrusive, and burdensome," the Democrats have often experienced similar treatment. Republicans noted that 83% of the groups being held up by the IRS were right-leaning; and the Subcommittee Minority staff, which did not join the Majority staff report, filed a dissenting report entitled, "IRS Targeting Tea Party Groups." On May 25, 2015, the agency announced that criminals had illegally accessed the private tax information of over 100,000 taxpayers over a period of several months. By providing Social Security Numbers and other information obtained from prior computer crimes, the criminals were able to use the IRS's online "Get Transcript" function to have the IRS provide them with the tax returns and other private information of American tax filers. On August 17, 2015, IRS disclosed that the breach had compromised an additional 220,000 taxpayer records. On February 27, 2016, the IRS disclosed that more than 700,000 social security numbers and other sensitive information had been stolen. ^ "Office of Commissioner of Internal Revenue (Created by an act of Congress, July 1, 1862)". www.irs.gov. Retrieved October 21, 2018. ^ Internal Revenue Service. "The Agency, its Mission and Statutory Authority". www.irs.gov. Retrieved October 21, 2018. ^ a b "Internal Revenue Service Data Book, 2017, Publication 55B, Washington, DC, March 2018" (PDF). ^ "Affordable Care Act Tax Provisions - Internal Revenue Service". www.irs.gov. ^ "ACTC letter to Congressional-Leadership" (PDF). www.actconline.org. ^ "Deficit soars to $782 billion in 2018". www.thehill.com. ^ "IRS Defends Budget That Would Cut More Than 2,200 Full-Time Jobs". www.govexec.com. ^ "1861–1865: The Civil War". Tax.org. Retrieved August 9, 2010. ^ 3 U.S. 171 (1796). ^ "1866–1900: Reconstruction to the Spanish–American War". Tax.org. Archived from the original on August 14, 2010. Retrieved August 9, 2010. ^ "Notes on the Amendments - The U.S. Constitution Online". USConstitution.net. Retrieved August 9, 2010. ^ "The first 1040 with instructions" (PDF). Retrieved November 8, 2011. ^ "1901–1932: The Income Tax Arrives". Tax.org. April 14, 1906. Archived from the original on August 14, 2010. Retrieved August 9, 2010. ^ "Historical highlights of the IRS". Retrieved October 6, 2017. ^ "IRS Historical Fact Book: A Chronology. 1646-1992. Department of the Treasury, Internal Revenue Service" (PDF). www.governmentattic.org. ^ "IRS' 10 deadly sins to remain deadly". ^ Internal Revenue Service. "IRS Budget & Workforce". www.irs.gov. Retrieved February 2, 2019. ^ "How an IRS leak changed history altered history". Baltimore Sun. December 21, 2003. Retrieved August 9, 2010. ^ "How an IRS leak changed historyaltered history – Baltimore Sun". Articles.baltimoresun.com. December 21, 2003. Retrieved August 9, 2010. ^ Tax History Project – Presidential Tax Returns. Taxhistory.org. Retrieved on August 10, 2013. ^ "Free File: Do Your Federal Taxes for Free". Irs.gov. January 29, 2013. Retrieved February 4, 2013. ^ "As e-filing turns 20, IRS trying to win over remaining third of taxpayers from paper returns". cleveland.com. Retrieved August 9, 2010. ^ "IRS refunded $4 billion to identity thieves last year, inspector general's report says". CBS News. November 7, 2013. Retrieved November 10, 2013. ^ a b "IRS chief warns of refund delays, poor customer service this tax year". Fox News. January 15, 2015. ^ Howell, Tom. "Bipartisan doubts emerge on IRS ability to handle Obamacare". Retrieved September 11, 2014. ^ The Editorial Board (January 17, 2015). "The Dangerous Erosion of Taxation". The New York Times. Retrieved March 6, 2017. ^ "Official web site of the National Commission on Restructuring the Internal Revenue Service". 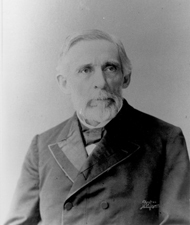 House.gov. Retrieved November 8, 2011. ^ IR-2010-88, August 4, 2010, "IRS Realigns and Renames Large Business Division, Enhances Focus on International Tax Administration," Internal Revenue Service, at IRS.gov. ^ "U.S. Department of the Treasury, Press Release" (PDF) (Press release). September 26, 2006. Archived from the original (PDF) on November 26, 2007. ^ "GAO-11-308 Information Security: IRS Needs to Enhance Internal Control over Financial Reporting and Taxpayer Data" (PDF). Retrieved November 8, 2011. ^ Zachary A. Goldfarb; Aaron Blake (May 16, 2013). "Daniel Werfel replaces Miller as acting IRS commissioner". The Washington Post. Retrieved May 16, 2013. ^ a b "IRS Commissioner Says He Doesn't Want Second Term". Bloomberg. ^ "IRS Tax Attorney Los Angeles". IRStaxreliefsettlement. Retrieved September 5, 2016. ^ "Profile of Nina Olson". Brynmawr.edu. November 16, 2003. Archived from the original on May 25, 2013. Retrieved July 28, 2013. ^ "Office of Appeals". US Internal Revenue Service. Retrieved July 5, 2018. ^ "What Can You Expect from Appeals - Internal Revenue Service". www.irs.gov. ^ "Karen Lee Hawkins". law.ggu.edu. ^ "The Office of Professional Responsibility (OPR) At-A-Glance". US Internal Revenue Service. Retrieved July 5, 2018. ^ "Link & Learn Taxes, linking volunteers to quality e-learning". Irs.gov. Retrieved December 22, 2012. ^ "Tax Stats at a Glance". IRS.gov. Archived from the original on May 10, 2012. Retrieved June 4, 2012. ^ 'New IRS Data Reveals That the Rich Really Do Pay Tax - Lots of It' by John Gaver. Press Release, Actionamerica.org, October 9, 2007. ^ IRS Commissioner Assailed on 'Tax Gap' by Jack Speer. Morning Edition, National Public Radio, March 21, 2006. ^ "The Tax Gap - Internal Revenue Service". www.irs.gov. ^ "Gross tax gap" (PDF). Retrieved April 12, 2012. ^ "IRS plan for private debt collection draws criticism". The San Diego Union-Tribune. August 23, 2006. Archived from the original on June 2, 2016. Retrieved April 30, 2016. ^ Wheaton, Sarah (September 23, 2008). "Acorn Sues Over Video as I.R.S. Severs Ties". The New York Times. ^ "Internal Revenue Bulletin: 2012-23". Internal Revenue Service. June 4, 2012. Retrieved June 7, 2012. ^ "First-Time Homebuyer Credit - Internal Revenue Service". www.irs.gov. ^ "What is TIGTA". Treasury Inspector General for Tax Administration. 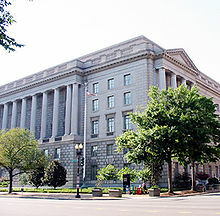 U.S. Department of the Treasury. December 11, 2014. Retrieved October 21, 2018. ^ "Prepared Statement Of Witness Before The Senate Finance Committee Oversight Hearing On The Internal Revenue Service". Archived from the original on July 29, 2007. Retrieved June 17, 2007. ^ Davis, Robert Edwin. "Statement before the Senate Committee on Finance". Archived from the original on February 9, 2007. Retrieved June 17, 2007. ^ Schriebman, Robert. "Prepared Statement of Robert S. Schrieman Before the Senate Finance Committee". Archived from the original on October 18, 2007. Retrieved June 17, 2007. ^ Davis, Shelley L. (September 23, 1997). "Prepared Statement of Shelley L. Davis Before the Senate Finance Committee Oversight Hearing On The Internal Revenue Service". Archived from the original on May 5, 2007. Retrieved June 17, 2007. ^ See 26 U.S.C. § 6331. For case law on section 6331, see Brian v. Gugin, 853 F. Supp. 358, 94-1 U.S. Tax Cas. (CCH) paragr. 50,278 (D. Idaho 1994), aff'd, 95-1 U.S. Tax Cas. (CCH) paragr. 50,067 (9th Cir. 1995). ^ "Couple acquitted of tax fraud". The Seattle Times. January 4, 2008. Retrieved November 16, 2017. ^ Johnston, David Cay (August 21, 2004). "2 Ex-I.R.S. Lawyers' Licenses Suspended for Misconduct". The New York Times. ISSN 0362-4331. Retrieved November 16, 2017. ^ "IRS officials in Washington were involved in targeting of conservative groups". The Washington Post. Retrieved May 15, 2013. ^ Korte, Gregory. "Senate subcommittee: No political bias in IRS targeting". Retrieved September 10, 2014. ^ The Permanent Subcommittee On Investigations. "RS and TIGTA Management Failures Related to 501(c)(4) Applicants Engaged in Campaign Activity". Retrieved September 10, 2014. ^ The Subcommittee Minority. "IRS Targeting Tea Party Groups" (PDF). Retrieved September 10, 2014. ^ Steinberg, Joseph. "IRS Leaked Over 100,000 Taxpayers' Private Info To Criminals: What You Need". Forbes. New York, NY. Retrieved May 27, 2015. ^ Weise, Elizabeth (August 17, 2015). "IRS hack far larger than first thought". USA Today. Retrieved August 17, 2015. ^ CBS News (April 18, 2016). "Massive IRS data breach much bigger than first thought". CBS News Interactive. Retrieved April 18, 2016. This article incorporates public domain material from the United States Government document "https://www.irs.gov". This article incorporates public domain material from the United States Government document "https://www.jct.gov".